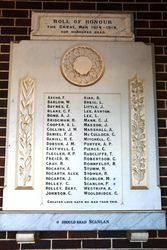 A marble honour roll commemorates those from the district who died in service or were killed in action during World War One. 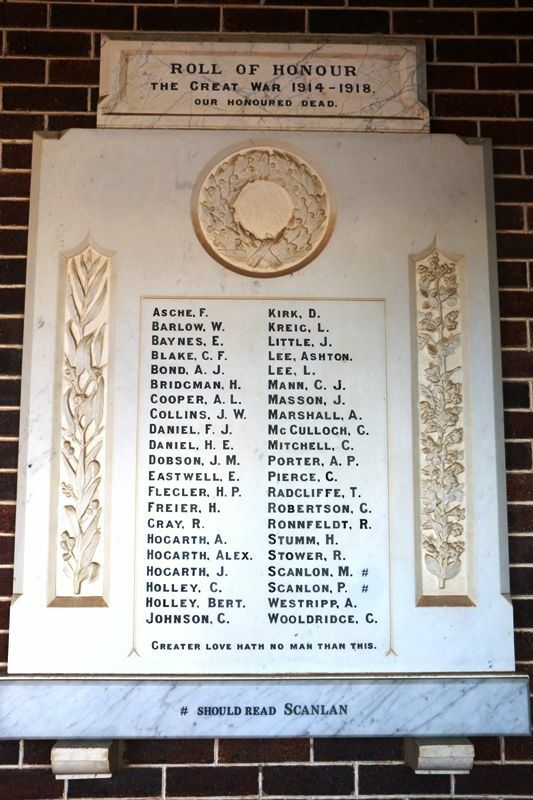 The Honour Roll was unveiled at the opening of the Soldiers Memorial Hall on the 24th May 1930. 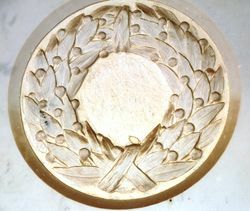 The tablet was made by Bruce Brothers who inscribed the names of the fallen, free of charge.